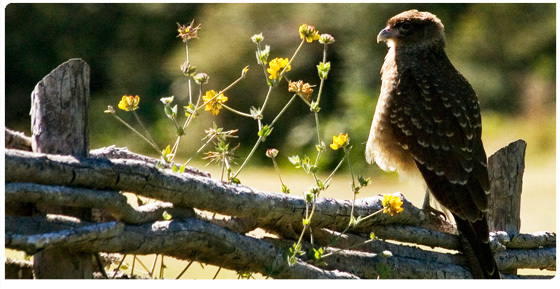 Journey from the Ocean, through the spectacular Andes Mountains, to the Patagonia Steppe on our Bird Watching Vacation. We are centrally located in the remote alpine Futaleufu river valley in Patagonia Chile, which has a unique rain-shadow microclimate making it an ideal destination for birds, and birders seeking a scenic comfortable, bird watching adventure vacation. Expediciones Chile’s commitment to environmental conservation and Patagonia eco-tourism has extended over the twenty years of our company’s existence. Ecological tourism, where the word “ecological” has both environmental and societal connotations lies at the core of our belief system. The International Ecotourism Society defines ecotourism as "responsible travel to natural areas that conserves the environment and improves the well-being of local people". For Expediciones Chile, eco-tourism means developing trips and eco-tours that focus on local cultures, wilderness areas, and flora and fauna of the region while creating a sustainable, economic, minimally consumptive business model to maintain the viability of the resource. We make a point of hiring guides, naturalists and employees from the local communities whenever we can and to help the communities themselves recognize the valuable resources over which they have stewardship. Hydro-electric development now threatens many of the southern regions of Chile and we believe that developing eco-tours in Patagonia is a more viable economic model and one that preserves this spectacular wilderness resource. You can read more about our eco-tour efforts in the Futaleufu River Valley by visiting our environmental policy webpage. Over the years we have worked with educational groups to develop customized trips with an eco-emphasis. Our partners have included high schools, universities and even the prestigious Explorer’s Club. If you or your organization are planning a Patagonia eco-tour and are looking for a partner to help develop your trip please contact our office. In addition to the trip on this page, we offer a full menu of eco-friendly multisport activities from which to choose, including: whitewater rafting and kayaking, sea kayaking, kayak school, river guide school, trekking, fly fishing, horseback riding, canyoning, mountain biking and more formal eco-tours in Chile like the one you see here. We also offer trekking trips to Torres del Paine, Cerro FitzRoy and other spectacular destinations in South America. Day 1, Wednesday: Leave from your hometown city on an over night flight to Santiago, Chile. Day 2, Thursday: Arrive in Santiago International Airport, Chile, clear customs, and transfer to a connecting flight to Puerto Montt Chile. Spend the rest of the day in the coastal Chilean city of Puerto Montt, the gateway to Patagonia, located on the Golfo Corcovado. The city of Puerto Montt is ringed by magnificent volcanic peaks, including the still active Volcan Orsorno. Enjoy shopping at the Angelmo Market for Chilean wool goods, or stroll the harbor area for coastal birds. Enjoy a salmon dinner at the Club de Yates restaurant and spend the night in the luxurious El Presidente hotel. Day 3, Friday: Early breakfast at your hotel and ground transport to the harbor. This morning we will take a spectacular five-hour Catamaran ride across the Golfo Corcovado. We often spot Humboldt and Magellanic Penguins and numerous coastal varieties like, Albatross, Petrels and Shearwaters on this trip. We arrive in the small coastal fishing village of Chaiten and drop our baggage off at the Hotel Mi Casa, overlooking the bay, and then head off to the famous Parque Pumalin for a several hour trek to see the old-growth giant alerce trees, and experience a unique coastal rainforest environment. The Parque Pumalin rainforest is home to a wide variety of bird species including the magellenic woodpecker. We return to Hotel Mi Casa and eat dinner overlooking the Chaiten harbor and scenic bay below. Day 4, Saturday: A hearty breakfast in Chaiten before setting out on a short bird watching hike along the Chaiten harbor and Santa Barbara beach coastline. After lunch we board a comfortable Safari bus and drive up the river valley along the Carreterra Austral, through a spectacular lake/fjord eco-system. We will cross the scenic Rio Yelcho, viewing snow-capped mountains, extinct volcanoes, glaciers, and the magnificent Lago Yelcho. We will finish this day's journey at our lodge, with wine and cheese, in the little alpine village of Futaleufu, where we will spend the night. The birds and wildlife we will encounter will be as varied as the habitats we travel through. As the day begins keep an eye out for Biterns, Egrets, Cormorants, Herons and Ibis' followed by Condors, Eagles and Falcons as we traverse the high mountain passes. Day 5, Sunday: Wake up to a hot breakfast in the little alpine village of Futaleufu. before starting out to the headwaters of the Espolon river on mountain bikes and/or horses that will be waiting in front of the lodge to take you on this journey. The trails we will take wind along the turquoise blue Espolon river, across small bridges, and white sand beaches, before reaching the spectacular waterfalls below Lago Espolon. The Futaleufu and Rio Espolon valleys are at the center of a unique rain-shadow microclimate ecosystem that provides a home to numerous bird species from different habitats. After viewing the falls we will board rafts and journey down the clear blue Espolon back to the village of Futaleufu. Our previous guests have compared this raft trip to a "magic carpet ride" as the water is so clear you feel you are floating in the air above the river bottom. There are some exciting, but easily negotiated class II-III whitewater sections on this trip. We spend another night in the village lodge. Day 6, Monday: We start our horseback or trekking trip down the roadless upper Futaleufu river valley along the senderos used by the local Chileans. Horses carry our gear through forests and farmland ecosystems. We traverse the Class 5 Infierno Gorge of the Rio Futaleufu. Coming out of the Las Escalas Valley we go through an old growth Coihue forest to our remote tent camp at an isolated ranch. This is the half-way point of the Futaleufu River Valley trail. There will be ample opportunity for birding, sight seeing and photography throughout the day. This is a location very few people ever visit and is a real glimpse of a world that is that is quickly disappearing - a journey back in time. When night falls we use candles and lanterns to light our way, and finally settle down to sleep under the southern stars. Day 7, Tuesday: After breakfast we continue trekking or riding in the valley to the thundering Throne Room rapid, the most powerful rapid on this Crown Jewel of rivers, and one of the largest rapids in the world. We will spend some time bird watching and sight seeing, and if we arrive at the right time we may see some intrepid world class kayakers descending this mighty cataract. The ecosystems of this day will vary between forests and farmlands to riparian as we meander along the Futaleufu river. We continue along the "Wild Mile" rapids till we come to a spectacular confluence of two rivers under the gaze of the Tres Monjas peak. We cross a high foot bridge over the Futaleufu river to discover the rustic but luxurious riverside Tres Monjas eco-camp. This camp is so spectacularly located that many of our guests have declared it a combination of Yosemite and Glacier National Parks. At this camp we have hot showers, a wood sauna, and masseuse to soothe your tired muscles. Here you will have an opportunity to explore the Rio Azul valley, do more birding, or just relax on a white sand beach along the caribbean-blue Futaleufu river. Day 8, Wednesday: We wake up at to the sounds of two rivers flowing around the peninsula of Campo Tres Monjas. As we walk down the forest path, toward the dining lodge for breakfast, we look across the beach and the river to a view of the sun rising over the Tres Monjas peaks. Today we will get an introduction to sea kayaking on the nearby protected, and mountain ringed, Lonconao Lake. Partners are selected as we introduce paddling and rescue techniques before setting out on the lake. Our stable two man kayaks are very forgiving for the first time kayaker and allow us to concentrate on the scenery and wildlife in this spectacular place. Paddling under your own power, on such clean water, in a pristine setting, will be an experience you will not soon forget. Day 9, Thursday: This is an optional multisport ala-carte day to enjoy the beach, masseuse, sauna, and the incredible views. On this day we offer optional adventure activities for those that want them: fly fishing, sit on top kayaking, world class whitewater rafting, mountain bike riding, and a learn to kayak clinic. The bird watching from the camp is also very good and includes three different habitats: riparian, farmland, and temperate forests. This night we have a Chilean lamb barbeque. Day 10, Friday: On this morning we will divide into two groups; the most adventurous group will get an early start crossing the Futaleufu river, to climb to the base of the Tres Monjas spires for one of the most spectacular and rewarding views of both the Futaleufu and Rio Azul valleys. This is an all day trek that will involve climbing above tree line and possibly into the snow line, depending on the season. On this trek we will likely encounter Andean Condors that live along the cliffs of the Tres Monjas Peaks. A lighter trek or horseback ride to the world class Terminator rapid is an option for those that want a more relaxing day. This secondary ride is as equally spectacular. On the banks of the Terminator rapid is an enchanting coihue forest that will provide us more bird watching opportunities. We will have a riverside lunch along side this powerful and spectacular rapid and then return to camp. Day 11, Saturday: We get an early start this morning to head back to Chaiten, to catch flights to Puerto Montt and a connecting flight to Santiago. In the evening you will board a flight from Santiago, Chile, to your hometown. 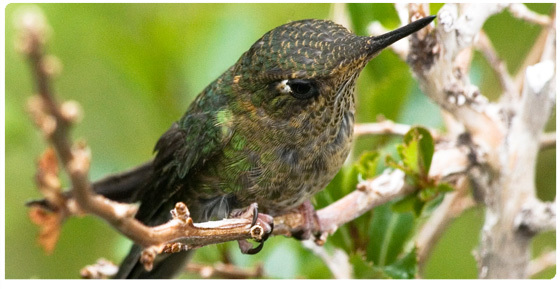 You will begin your bird watching adventure vacation from the Chilean coastal city of Puerto Montt, the gateway to Patagonia. There you will board a Catamaran Ferry and travel across the Golfo Corcodova to the seaside fishing village of Chaiten. Birds that we usually sight on this crossing, and on the beaches of Chaiten typically include: Albatross, Petrels, Prions, Shearwaters, Penguins, Boobys, Pelicans, Cormorants, Biterns, Oyster Catchers, Yellowlegs, Plovers, Whimbrels, Godwits, Sandpipers, Surfbirds, Skuas, Gulls, Sanderlings, Turnstones and Terns. As we journey inland from the coastal village of Chaiten the scenery changes dramatically and so does the bird watching. We drive on the Carreterra Austral, Chile's southern highway, following lower lying rivers and lakes before climbing upward toward the high Andes. The birds of this ecosystem typically include: Grebes, Cormorants, Egrets, Herons, Ibis', Storks, Flamingoes, Coscorobas, Geese, Ducks, Pintails, Rails, Galinules, Coots, Snipes, Skimmers, King Fishers, Cinclodes, Teals and Shovelers. After a few hours journey along the Carreterra Austral we turn off the southern highway and head up a secondary road toward the Futaleufu Valley. The terrain becomes less marshy and more mountainous and we begin to sight different species of birds: Harriers, Hawks, Caracaras, Kestrels, Owls, Doves, Pigeons, Plant Cutters, Parakeets, Woodpeckers, Flickers, Wiretails, Tree Runners, Tyrants, Swallows, Wrens, Lap Wings, Finches, Cowbirds, Mockingbirds, Black Birds, Meadowlarks, Siskins and Sparrows. Finally we enter the high mountainous areas of the Andes surrounding the Futaleufu river valley. This is the spectacular habitat of the Andean Condor. Bird watching in this region is exciting as we spot:: Vultures, Eagles, Hawks, Canasteros, Earth Creepers and Miners. After spending a few days birding in the Futaleufu Valley we head over the Argentinean border to the dry side of the Andes Mountains. This is the steppe region that includes the famous Parque Nacionale Los Alerces of Argentina. Some of the birds that we encounter in this arid region include: Rheas, Tinamous, Harriers, Eagles, Caracaras, Quail, Seed Snipes, Parrots, Nightjars, Hillstars, Miners, Earth Creepers, Canasteros, Finches and Tyrants. We recommend the following guide: The Birds of Southern South America and Antarctica, by Maurice Rumboll & Martin de la Pena. Arrive in Futaleufu via Esquel or Bariloche Argentina the gateway to Futaleufu Patagonia. Connect with our transportation representative and travel to the remote riverside village of Futaleufu, surrounded by majestic mountains. You will find your accommodations at our comfortable lodge, and unwind from your trip with a hearty welcome dinner at the Futaleufu Adventure Center. Day 2, Sunday: Wake up to a hot breakfast in the little alpine village of Futaleufu. After orientation we will head out to the headwaters of the Espolon river on mountain bikes and/or horses that will be waiting in front of the lodge to take you on this journey. The trails we will take wind along the turquoise blue Espolon river, across small bridges, and white sand beaches, before reaching the spectacular waterfalls below Lago Espolon. The Futaleufu and Rio Espolon valleys are at the center of a unique rain-shadow microclimate ecosystem that provides a home to numerous bird species from different habitats. After viewing the falls we will board rafts or if you are more adventurous Sit on Top Kayaks, and journey down the clear blue Espolon back to the village of Futaleufu. Our previous guests have compared this short river trip to a "magic carpet ride" as the water is so clear you feel you are floating in the air above the river bottom. There are some exciting, but easily negotiated class II whitewater sections on this trip. We spend another night in our lodge. Day 3, Monday: We start our trekking trip down the oxcart trails of the upper Futaleufu river valley. These are the senderos used by the local Chileans. Our destination is our remote off the grid working ranch that we call "Benidictos." We drop into the Futaleufu valley through an old growth forest, and cross the Futaleufu river on a swinging bridge. After crossing the river we renter an old growth forest on a horse trail where we come to the remote ranch. This is the half-way point of the Futaleufu River Valley trail. There will be ample opportunity for birding, sight seeing and photography throughout the day. This is a location very few people ever visit and is a real glimpse of a world that is that is quickly disappearing - a journey back in time. Day 4, Tuesday: Tuesday we wake up at the remote ranch, where we eat a breakfast with fresh eggs from the chickens, fresh milk from the cows and fresh scones and honey. We will be immersed in the culture of an off the grid working ranch. Our hosts are charming. Today is a day spent exploring from the ranch. Horses are available for a ride up another side valley up in to the Andes, and search for Condors. From the ranch a twenty minute hike takes us to the river to bird watch. Again dinner and a night back in time around the wood stove. Day 5, Wednesday: After breakfast we trek (or ride) down valley to the thundering Throne Room rapid, the most powerful rapid on this Crown Jewel of rivers, and one of the largest rapids in the world. We will spend some time bird watching and sight seeing, and if we arrive at the right time we may see some intrepid world class kayakers descending this mighty cataract. The ecosystems of this day will vary between forests and farmlands to riparian as we meander along the Futaleufu river. We continue along the "Wild Mile" rapids till we come to a spectacular confluence of two rivers under the gaze of the Tres Monjas peak. We cross a high foot bridge over the Futaleufu river to discover the rustic but luxurious riverside Tres Monjas eco-camp. This camp is so spectacularly located that many of our guests have declared it a combination of Yosemite and Glacier National Parks. At our Campo Tres Monjas we will be sleeping in sleeping bags in tents or primitive cabins. However we have hot showers, a wood sauna, and masseuse to soothe your tired muscles. Here and early arrival will give you an opportunity to explore the Rio Azul valley, do more birding, or just relax on a white sand beach along the caribbean-blue Futaleufu river. Day 6, Thursday: This is your day at the camp. Enjoy the beach, masseuse, sauna, and the incredible views. During the day the camp is usually empty. What a time to read a book on the beach, or go for a short hike. You will enjoy the home cooked meals. Day 7, Friday: Today we have a choice between a moderate river valley hike downstream to the complex Terminator rapid. (5.5 hours rt) This riparian environment will provide us more bird watching opportunities. We will have a riverside lunch on smooth contured rocks along side this powerful and spectacular rapid. Aftewards we return to camp. A second option is a more difficult up hill hike in a valley behind the Tres Monjas Peak near the Argentine border. (6.5 hours rt) In route we will visit a neighbors ranch that look like it is right of the story "Heidi" a simple and beautiful ranch set under the Tres Monjas peak. A third option for those fit and ready to tackle 5,000 vertical feet in one day we can get an early start crossing the Futaleufu river, to climb to the base of the Tres Monjas spires for one of the most spectacular and rewarding views of both the Futaleufu and Rio Azul valleys. This is an all day trek (up to 14 hours rt) that will involve climbing above tree line and possibly into the snow line, depending on the season. 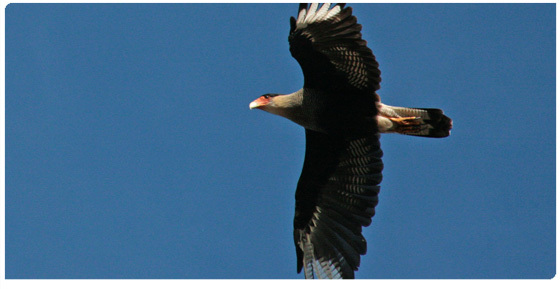 On this trek we will likely encounter Andean Condors that live along the cliffs of the Tres Monjas Peaks. Today we wake up for an early breakfast for the departure to Bariloche, Argentina or if you are flying out of Esquel, Argentina you can relax for a couple of hours and take our shuttle. Our season in Chile runs from 15 Nov - 15 April. The months of January and February correspond to July and August in the Northern Hemisphere. The season tends to start-out wetter and becomes drier as we move through summer and autumn. Typically our bird watching tours run from Thursday to Saturday, for a total of ten days. The price of a ten day bird watching/adventure vacation is $2995.00. This price includes transportation to and from Puerto Montt, all local transportation, guides, horses and most equipment and gear, (see our packing list for specifics), meals and lodging. Binoculars and Field Guides are not included. Because of the logistics involved in running bird watching tours in this region of the world we typically like to run our trips with a minimum of four or more people. If you have a group of this size and are iterested in visiting this area of Patagonia please contact our office for more information.